No. Unscheduled property visits will not be accommodated. A phone interview must be conducted first. You can Call or request a phone interview though our contact page. The rental fee includes electric, water and basic cable TV service. LWT’s allows domestic house cats and small birds. Pet deposit policy: Cats – $250. Birds – $100. The resident will assume full responsibility for their animal. What amenities are offered at the Lake Worth Towers? Learn about amenities available in Lake Worth Towers, as well as locations within close proximity on our amenities page. 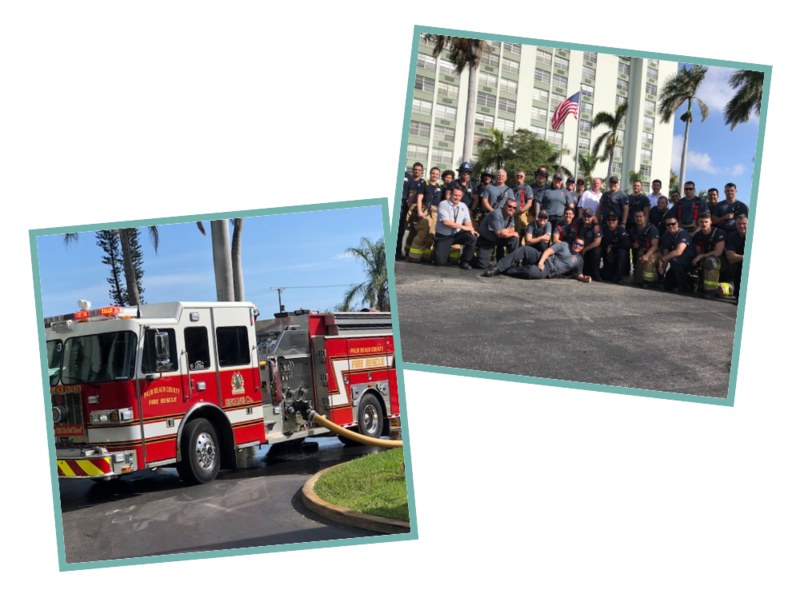 Fun Fact: Palm Beach County Fire Rescue uses Lake Worth Towers as a high rise training facility. Training takes place once a year.